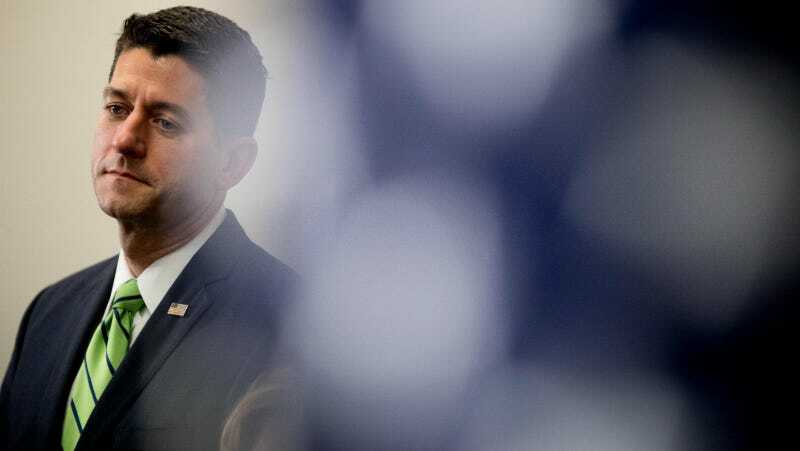 Poor, exhausted Paul Ryan would just like to enclose himself in a one-man tent somewhere deep in the woods and sleep for several weeks, waking only to lift something heavy, but instead he has to keep talking about Donald Trump. In a conference call today with the House GOP, he said Hillary Clinton is probably going to win and that he couldn’t “defend” Donald Trump, but also that he’s not pulling his endorsement. One person involved in the call says Ryan has not withdrawn his support for Trump, but has said he won’t defend him, either. Instead, he’ll campaign for GOP congressional candidates. This would all be very funny if it were happening somewhere else.